Are you looking to redecorate in time for the holiday season? 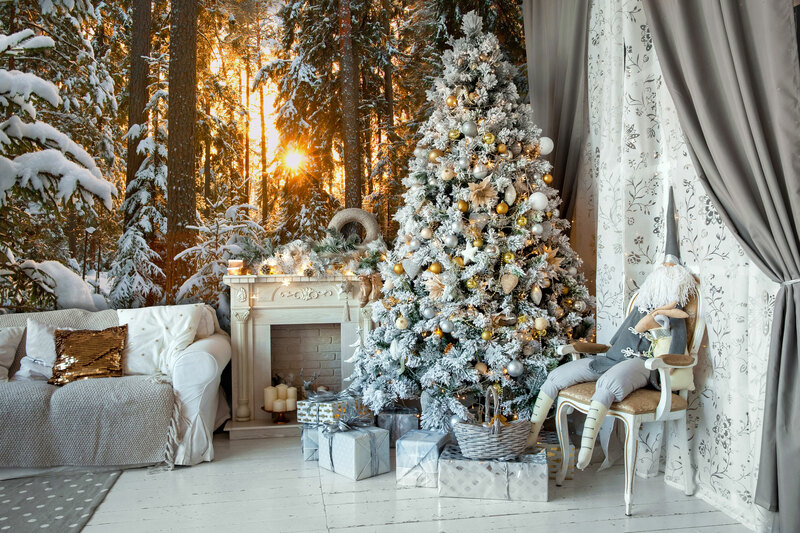 We've picked our favourite snowy landscape wallpaper murals that will not only look beautiful against your Christmas decorations but also for the rest of the year too. The selection includes mountains, forests, Wintry scenes and landscape paintings. 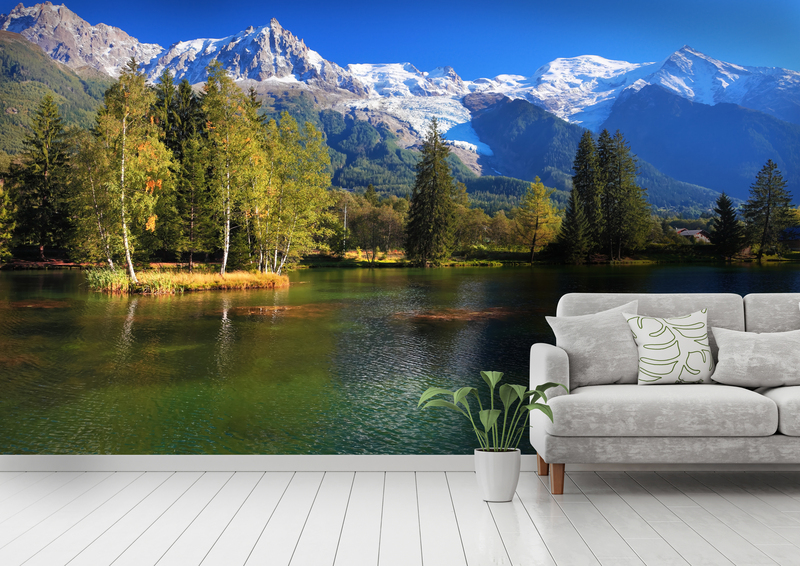 Mountainous landscapes topped with snow are a wonderful choice for any room in the home. The snowy tops create a cosy, Wintry feel in the home which is complemented by the luscious and calming greenery. Green is a colour which has many positive benefits that make your home appear calm and relaxing, and it also works well with most colours. This landscape photograph appears to reach back into the distance which will create the illusion that the room is larger than it is. 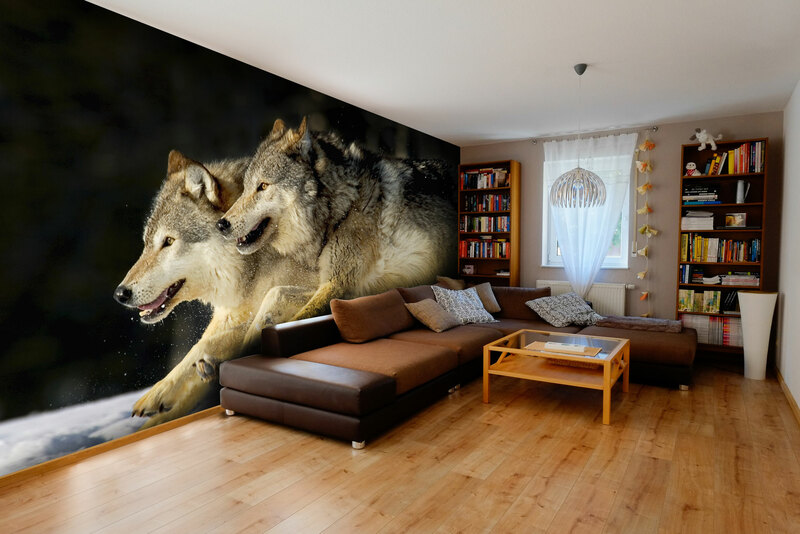 Perfect for making rooms crammed with family at Christmas feel less crowded. 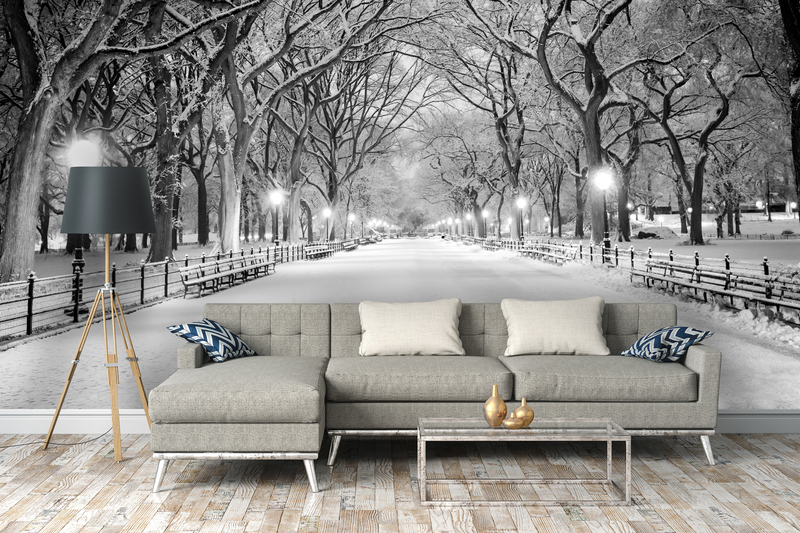 Create a living room fit for a Christmas card with this stunning Winter trees wallpaper mural. 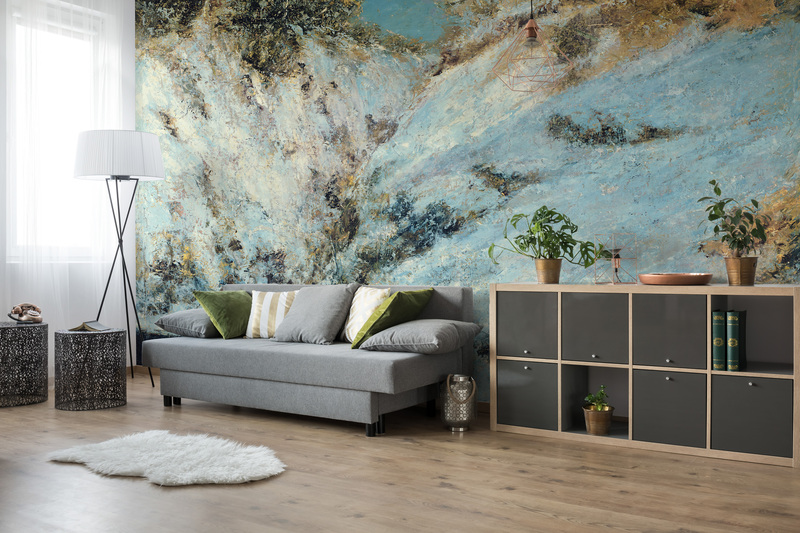 The colours in this mural are beautiful but neutral enough to work with your existing decor. The powerful imagery will create a focal point in your home that will be admired by all your guests. Sleigh bells ring, are you listening? Picture cosy nights with the family sat in front of this stunning Winter scene; this beautiful and timeless Winter walkway ticks so many boxes. 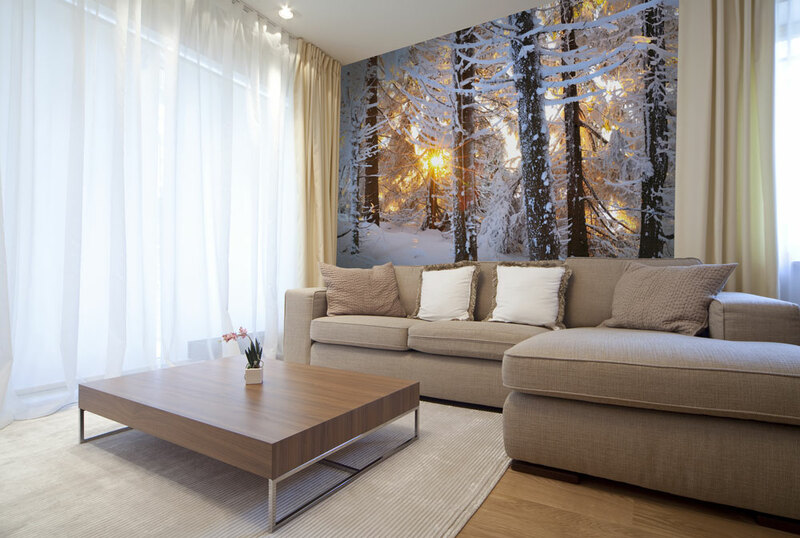 Together with Christmas decorations, your home will be transformed into a dreamy Winter wonderland and throughout the rest of the year, your home will be a place to relax in front of a beautiful snowy forest wallpaper. Use with greys, blacks, whites and a few pops of colour. 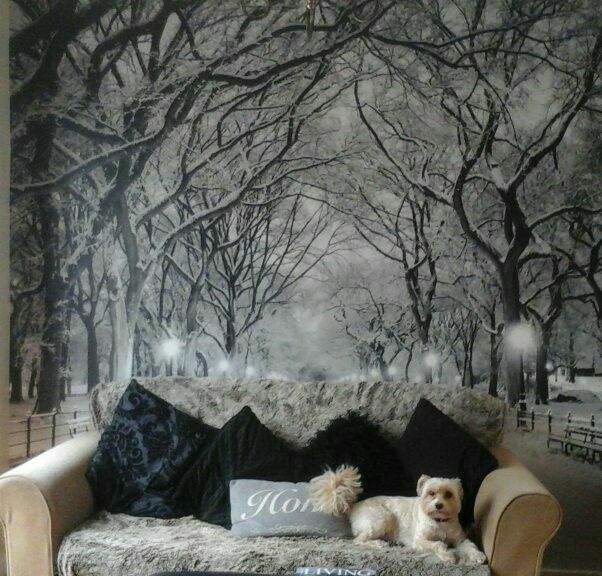 The second image was sent in by a happy customer and her very happy Maltese! This beautiful interpretation of a snowy landscape will be perfect to contrast against modern decor. Painted in 1886 by Gustave Courbet, breathtaking piece of art proves that classic never goes out of style. Perfect for a family home, winter animals in the snow will create a beautiful backdrop for family fun throughout the festive season and beyond. 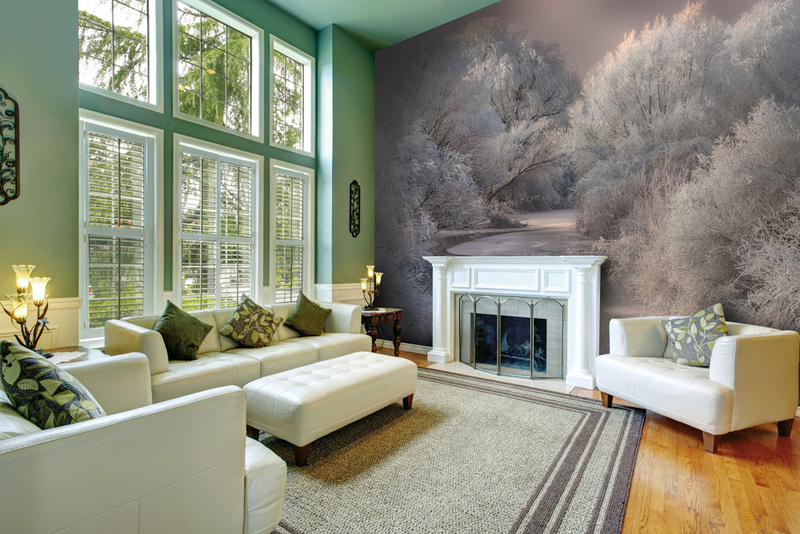 The polar bear wallpaper mural below is soft and perfect for a home with young children.